The food bank supplier has received more than $300,000 in donations since the fire Wednesday, and 50,000 pounds of food was brought into the warehouse Saturday alone. 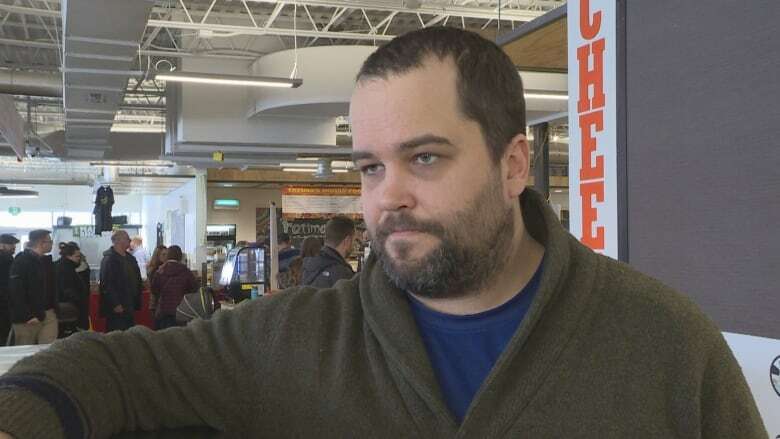 Newfoundland and Labrador is rallying to get the Community Food Sharing Association back on its feet following a devastating fire that wiped out an entire warehouse of food. The food bank supplier has received more than $300,000 in monetary donations since the fire Wednesday and after multiple fundraising efforts took place Saturday — 50,000 pounds of food was brought into the warehouse. "It's unbelievable the support that we have received, not only in St. Johns but right across the province," said Eg Walters, the association's general manager. "It's been a real wild week, going from a complete low on Wednesday when we lost our building to today, when we have a new building and a lot of corporate support behind us." Vendors at the St. John's Farmer's Market played their part Saturday in supporting the Community Food Sharing Association. Vendors donated a percentage — for some, it was 100 per cent — of Saturday's profits. Adam Blanchard, owner of Five Brothers Cheese, said it's the least they could do, being in the food industry themselves. "Food in general is a huge passion of mine and I live it, so to see something like this is really puts things into perspective about how vulnerable we are with the food on the island," he said. "It's important that we all rally together and make sure we take care of each other. It's all about community." Jonathan Richler, owner of the Jewish Deli, said the second he heard the news he wanted to do something. Richler along with other local cooks are planning a fundraising dinner Tuesday night at the St. John's Farmer Market. All proceeds will go back to the Community Food Sharing Association. "All I did was put the call out and within a matter of, no exaggeration, 20 minutes everybody said yes," Richler said. "I eat every day; not everybody does. I am in the food business and what a better use of my resources then to help other people eat?" The next step for the Community Food Sharing Association is getting bins into their new building and starting to sort through the food. The association said food will start to be delivered to food banks across the province no later than Thursday.